Aug. 12, 2011 6:00 p.m. The Canada Cup was a big learning curve, and that bodes well for the blue and white. From the bumped-but-not-forgotten files, an update on Ballenas Secondary School standouts Dustin Rodriguez and Terrek Bryant. The pair made school history back in June by becoming the first local players ever selected to Team BC and to compete in the Football Canada Cup, an annual showcase for the best Under 18 players in the country. The 2011 Football Canada Cup was played out at the University of Lethbridge June 9 to 16 and marked the greatest number of provincial entries in FCC’s 17-year history with two teams from Ontario, and one team each from B.C., Alberta, Saskatchewan, Manitoba, Québec and Nova Scotia. Top rushing performances came from Mason Swift, Terrell Davis and Matt Carney of B.C. The final game on day two was a battle as the West Coast gang lost game two 31-15 to Quebec. The game was tied 7-7 midway through the opening quarter when Quebec “began to open up their offence,” and went on to reel off 24 unanswered points over the next two quarters. The locals were in the lineup and helped Team BC beat Ontario 14-1 in the bronze medal game. This is the second straight year B.C. has finished third in the country — Team BC won a bronze medal last year after a 10 year absence from the tournament. Rodriguez had a couple quality touches, one of them a 30-yard reception, and he also booted a 30 yard field goal against Manitoba, and Terrek rotated in on the offensive line at both left and right tackle. “All the players were really good,” and said, pointing out the experience was an eye opener in terms of the talent level out there. Conditions in Lethbridge were ‘really hot’ with slight winds. Both players are going into their senior year, and both say they’re looking to run with what they learned playing for Team BC in their final campaign with the Ballenas Secondary School Whalers. Rodriguez was hampered with a bone spur last year and spent most of last season in an air cast. Contacted for his take on our two local players just prior to the tournament, Team BC assitant coach Dino Geremia said, “Dustin is a talented receiver with good speed and a knack to get open. He also will play a huge role for us on special teams, kicking and returning; ultimately his versatility helped him make the team and will lead to the team’s success. The Whalers (both seniors and juniors) start no-gear practices Mon., Aug. 15. Full-gear workouts get underway on Aug. 22. The seniors’ first pre-season game is in Nanaimo Sept. 9 in a 3:30 p.m. kick-off against the NAnaimo District Secondary School Islanders. 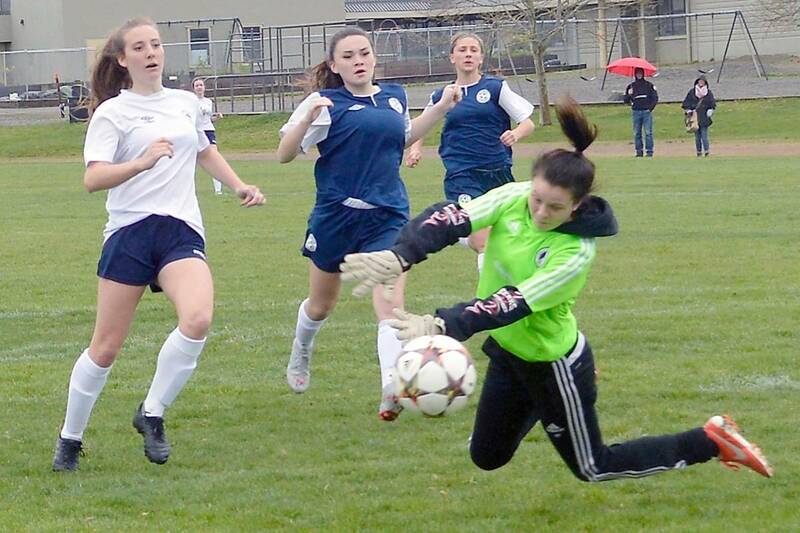 The junior Whalers host the Lord Tweedsmuir Panthers from Cloverdale the following day (1 p.m. kickoff). “They’re a Triple-A team, so it’s a big challenge for us,” said coach Conn.